July 11, 2010 - Two F-16 fighters out of Peterson Air Force Base, Colorado under the direction of North American Aerospace Defense Command (NORAD) responded to two single engine aircraft violating a temporary flight restricted area in the vicinity of Las Vegas on Friday. 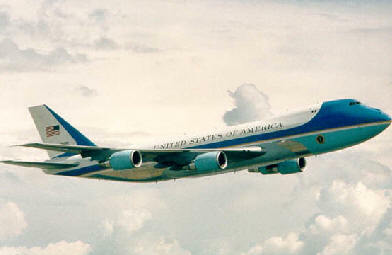 The restricted airspace was set up for President Barack Obama's visit to Las Vegas, Nevada. The fighters, on station to enforce the TFR, intercepted the first aircraft, a Cessna 210, at approximately 7:05 a.m. PDT and the other single engine general aviation aircraft at approximately 7:34 a.m. PDT. The Cessna landed at the North Las Vegas Airport where it was met by local authorities and the second aircraft landed in Mesquite, Nevada where it was met by authorities. President Obama was in Las Vegas to stump for Senate Majority Leader, Harry Reid, of Nevada, and to give a speech on the economy at the University of Nevada-Las Vegas. President Obama also campaigned during his two state, two day trip for Democratic Senate candidate Robin Carnahan in Missouri. NORAD's mission ? in close collaboration with homeland defense, security, and law enforcement partners ? is to prevent air attacks against North America, safeguard the sovereign airspaces of the United States and Canada by responding to unknown, unwanted and unauthorized air activity approaching and operating within these airspaces, and provide aerospace and maritime warning for North America. NORAD may be required to monitor, shadow, divert from flight path, direct to land and/or destroy platforms deemed a potential threat to North America. NORAD is the bi-national Canadian and American command that is responsible for the air defense of North America and maritime warning.